H378. A grey felt Brill cap stamped inside with yellow ink D.M.C. 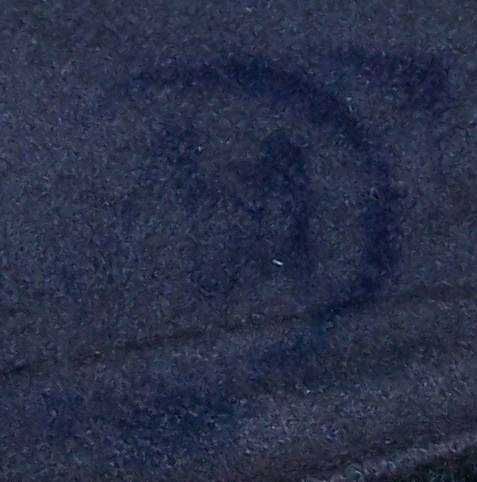 dated 1942 Size 7 ¼, also stamped in blue ink, an M inside a blue circle and a broad arrow in white. 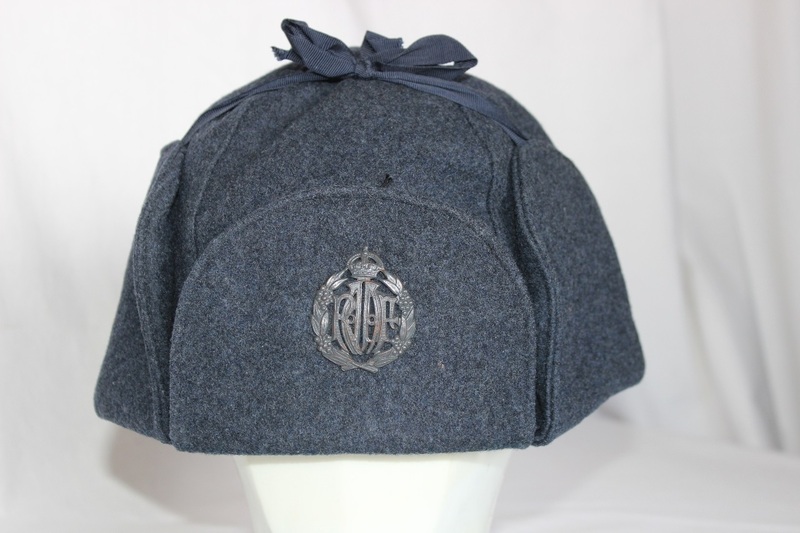 The oxidised cap badge is marked Scully LTD Montreal. 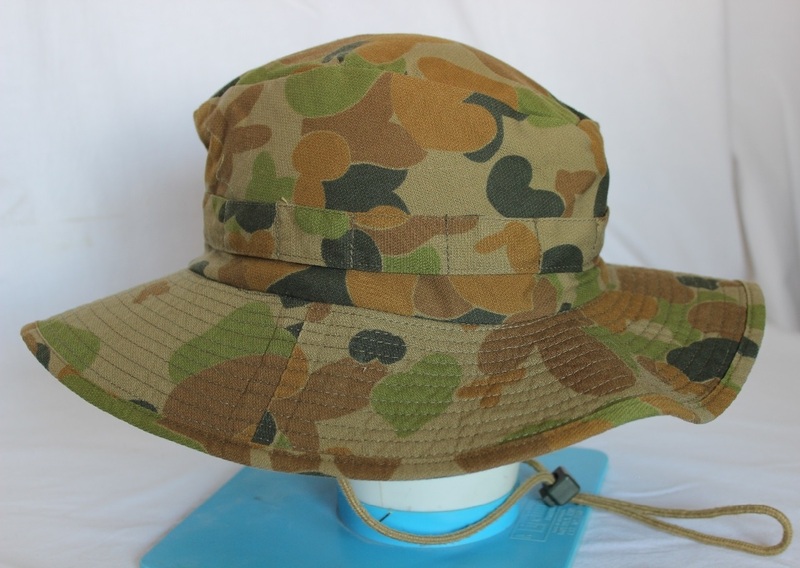 These caps were worn by RAAF aircrew under training in Canada. H378. 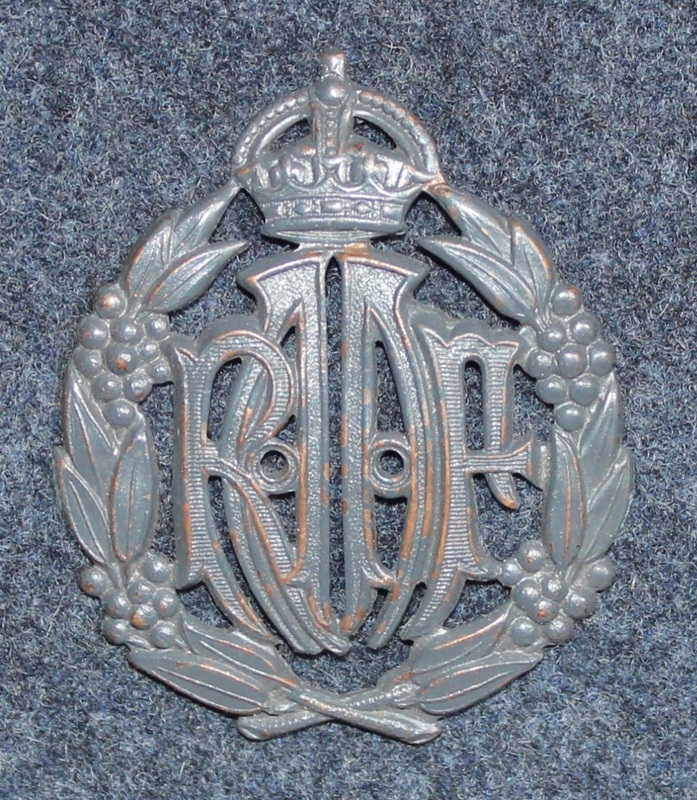 Scully LTD Montreal marked oxidised cap badge. H378. Makers stamp inside cap. H387. 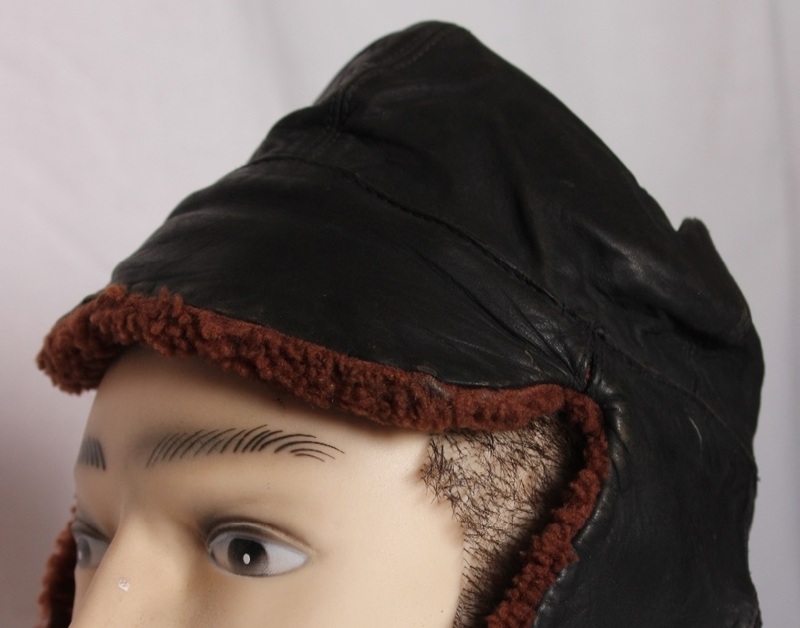 A black leather cap lined with brown synthetic fur lining and tape chin strap. 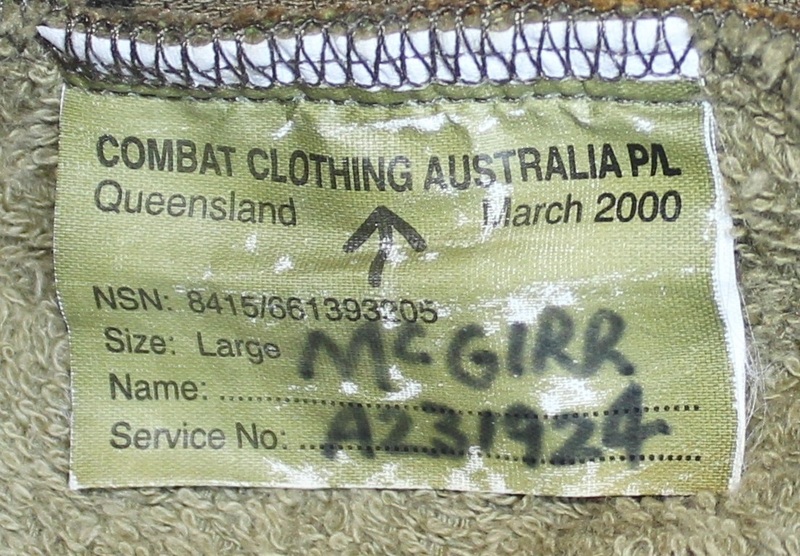 No markings, but these were sold off as ex RAAF stock. H406. 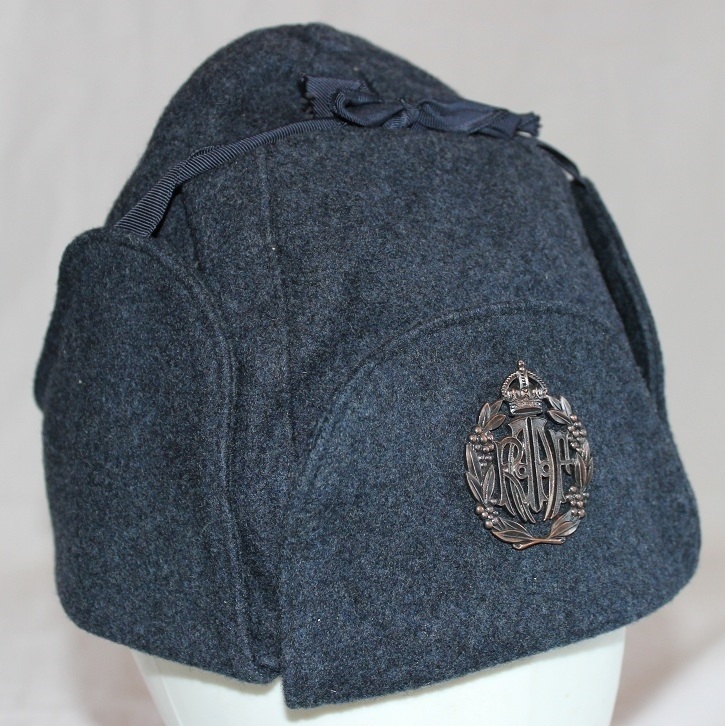 A grey felt Brill cap stamped inside with white ink BRILL CAP 1942 WINIPEG CANADA Size 7 3/4, there is also a yellow circular stamp and a white broad arrow in a C. The oxidised cap badge is unmarked. These caps were worn by RAAF aircrew under training in Canada. H406. 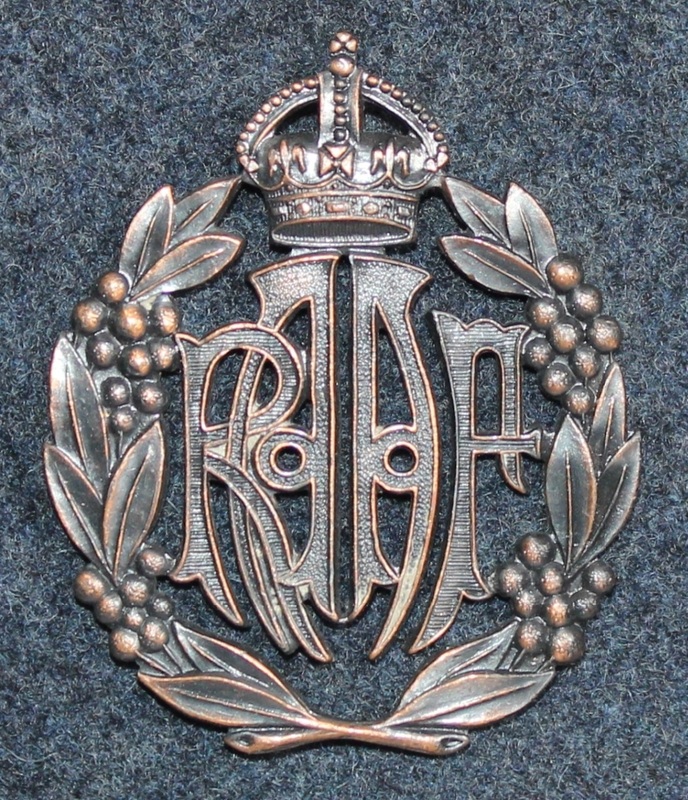 An unmarked oxidised ranks cap badge. H406. Makers stamp inside cap. H436. 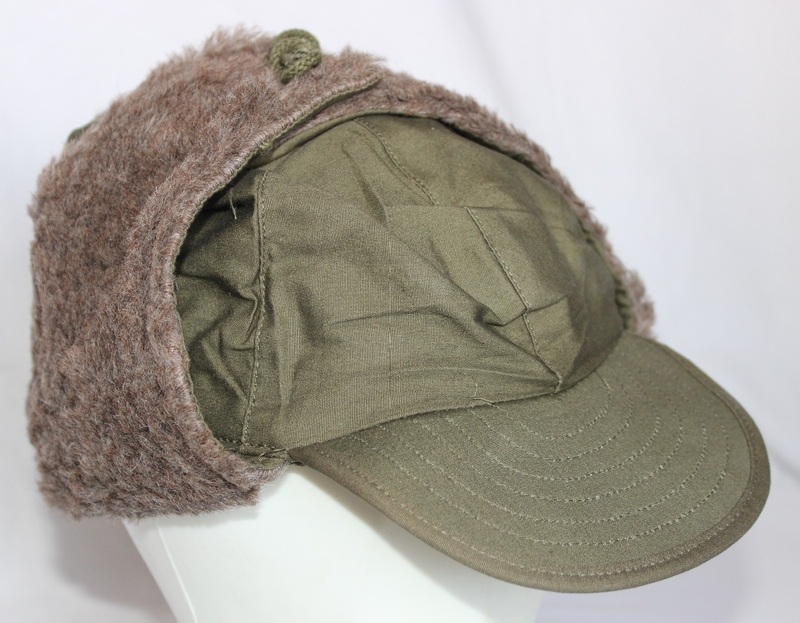 A cap field Pile OD M-Q1 as worn by RAAF personal in Korea, cap is made by Hamelco and dated 1950. H436. 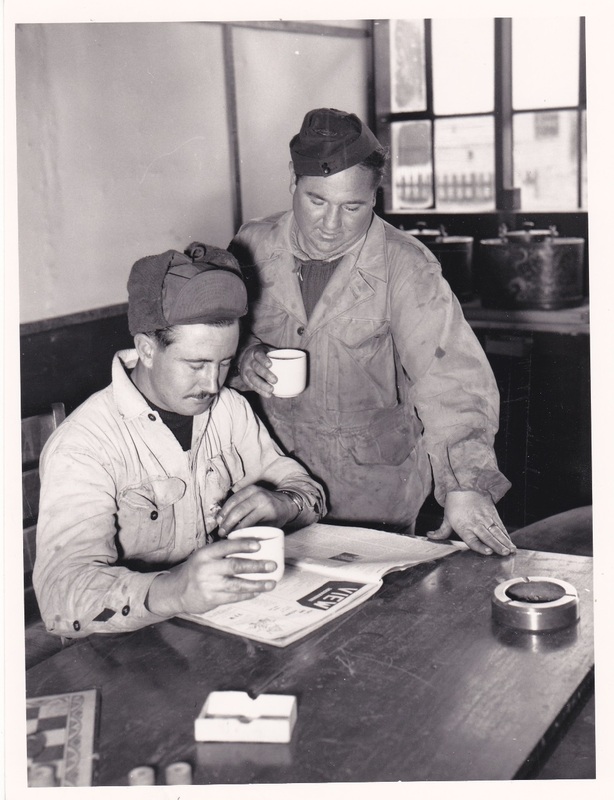 Photo of an airman wearing the Pile Cap in Korea. H436. 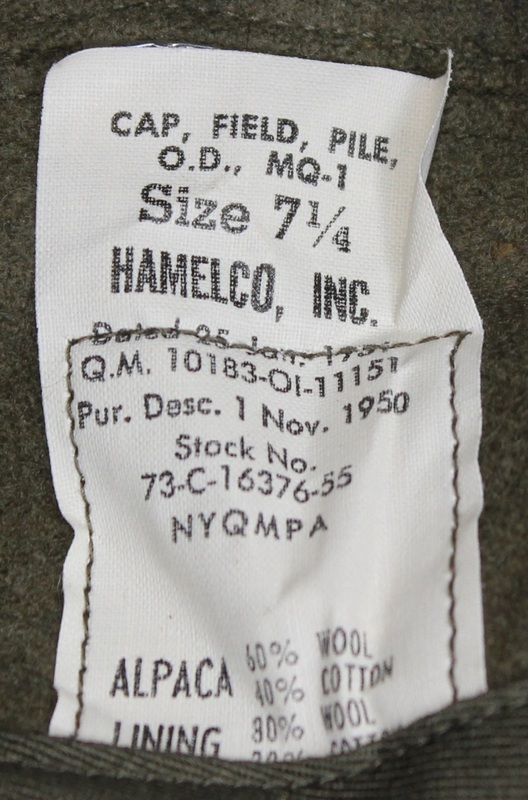 Label inside the cap. H446. 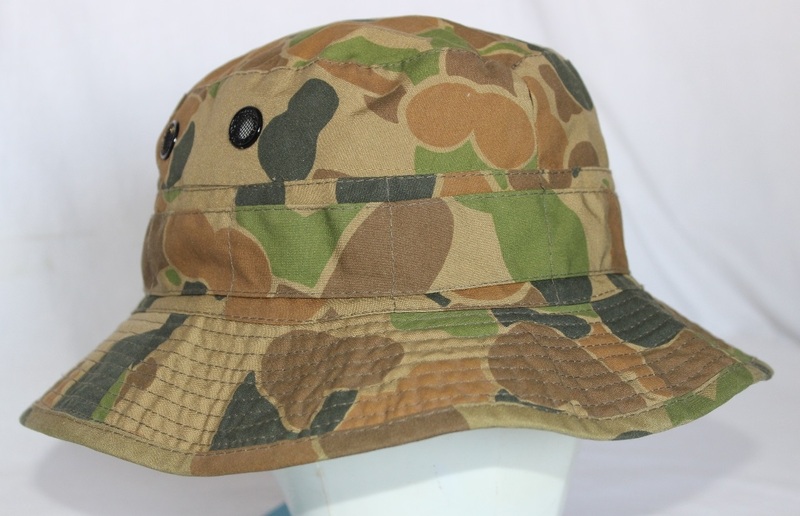 A DPCU Boonie wide brimmed hat made by Combat Clothing Australia P/L and dated 2000. Named to SGT Mc Girr A231924. H446. 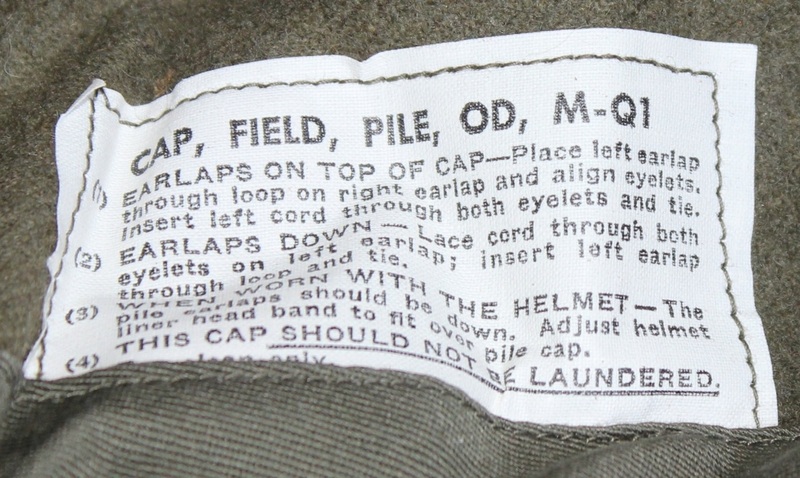 Label inside the hat.